It was the lunch table trump snack. If you looked in your sack lunch and saw a Snack Pack, SwissMiss, or Jell-o brand chocolate pudding, you knew you had top currency. The lunch table and all its contents were your domain, and you could trade for anything you wanted. Not that you ever would, of course. Indulging yourself in a little chocolate pudding doesn’t have to be a nostalgic childhood memory a feel-good pastime. We’re pleased to tell you that June 26 is National Chocolate Pudding Day, when adults and kids alike can heap spoonful after spoonful of the stuff with abandon. If it’s pudding’s creaminess and smooth texture that make you melt, you may grimace at its origins as a sometimes-savory cakey dessert. In the 17th century, “pudding” was served after dinner, and included everything from grains to raw mutton fat. Definitely not the spoonable suaveness we know and love today. And while the origin of National Chocolate Pudding Day is a bit obscure, we can at least take comfort in knowing it arose after creamy pudding was invented in the mid-1800’s. We take our chocolate pudding without raw kidney fat, thank you. Take homemade pudding or your favorite pre-made variety and serve it in a parfait cup, champagne flute, wine glass, or any other container that screams “class,” and present it to your friends. For extra flare, add fruit, whipped cream, dark chocolate bits or cinnamon sticks. The last thing you want is a vanilla party on Chocolate Pudding Day. Use your creativity to jazz things up a bit. A children’s favorite, all you need is some chocolate pudding, Oreos, and gummy worms. Arrange the crushed Oreos over the pudding, and push the gummy worms halfway into the “dirt” so it looks like they’re emerging. You and your kids will have a blast creating - and eating - this fun dessert. And, at least, for today, let them get messy - it’s only pudding after all. 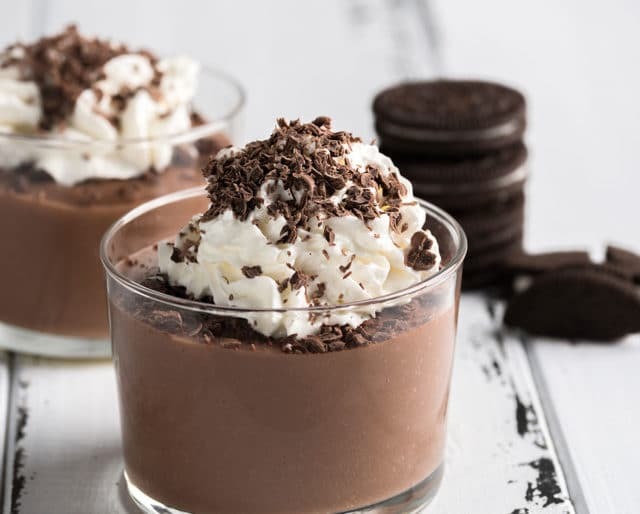 Find a chocolate pudding cup brand that doesn’t require refrigeration and leave one out for a friend or partner with a quirky note. Perhaps something like “Thanks for pudding up with me all these years” would go over well? Even if it’s just “Thanks for being my friend,” it’s an easy way to surprise a friend and celebrate Chocolate Pudding Day all at once. It’s officially summer, and while lemonade and ice cream often take the title as top summer treats, why not cool off with a smooth afternoon pudding cup? Even better, try freezing your pudding for a delicious chilled dessert. Secret: Pudding companies may tell you not to freeze the cups for fear it will change the texture or flavor, but believe us, it’s an exciting — and healthier — alternative to ice cream on long summer days. Whether you’re staying loyal to your favorite pudding cup brand or making your own from scratch, chocolate pudding is an easy delight. Simply wash out your cup and recycle when you’re done, or if making your own, use the microwave and around five ingredients. Just 10 minutes, and you’re done. Clean up is no different than any other one-bowl dish. If you have a few extra ingredients lying around and want the creme de la creme of chocolate pudding treats, try mixing them together for a creation all your own. Don’t let those last crumbs of graham cracker go to waste — mix’em in! Need to use up the whipped cream before it loses its texture? Whip up some chocolate pudding to go with it.